Glacier National Park will modify its entrance fees beginning June 1, 2018 to provide additional funding for infrastructure and maintenance needs that enhance the visitor experience. Effective June 1, the park entrance fee will be $35 per vehicle or $30 per motorcycle. An annual park pass will cost $70. The NPS last October proposed a plan to adopt seasonal pricing at Glacier National Park and 16 other national parks to raise additional revenue for infrastructure and maintenance needs. The fee structure announced today addresses many concerns and ideas provided by the public on how best to address fee revenue for parks. Revenue from entrance fees remains in the National Park Service and helps ensure a quality experience for all who visit. In Glacier National Park, 80 percent of entrance fees stay in the park and are devoted to spending that supports the visitor. The park shares the other 20 percent of entry fee income with other national parks for their projects. “The fees our visitors pay are essential to tackle deferred maintenance projects like trail and campground work, as well as other visitor services like ranger programs and our park maps and brochures,” said Park Superintendent Jeff Mow. The additional revenue from entrance fees at Glacier National Park will improve trails such as those around Granite Park and Running Eagle Falls, improve restroom access including accessible restrooms and winter restrooms, and expand the park’s volunteer program. 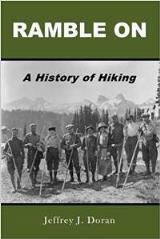 Glacier National Park has had an entrance fee since 1914. The current rate of $30 per vehicle or $25 per motorcycle has been in effect since 2016. The park is one of 117 in the National Park System that charges an entrance fee. The remaining 300 sites are free to enter. The National Park Service has a standardized entrance fee structure, composed of four groups based on park size and type. 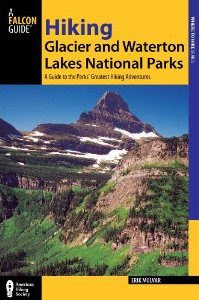 Glacier National Park is one of the park sites in group 4.